"I last saw Dorothy in a restaurant as she joyfully told me..."
"So sorry to hear of Dorothy's passing. I was one of the..."
"My condolences to the family. I first met Dorothy when we..."
"Dorothy was the best boss I ever had in my life back at the..."
"I was so sorry to hear of Dorothy's passing. She was one..."
Dorothy Elizabeth Rivoli (93) of Vancouver, WA, passed away quietly in her sleep at Pleasant Valley Senior Care in Vancouver, WA on August 16th, 2016. Dorothy was born in Independence, KS on November 7th, 1922 to Henry and Delilah Loggan. Dorothy is survived by her daughters, Cathy English and Jeanne Shaffer; her grandchildren, Rachel Gagnier, Dean English, Deborah English-Fong, Angela Lentz, and Sarah Shaffer; and her great-grandchildren, Ethan English, Logan Gagnier, Elise Gagnier, Kathryn English, Jaylee Lentz, Garrison Lentz, and Jolin Fong. She was preceded in death by her siblings, Paul Loggan, Darrell Loggan, Charles Loggan, James Loggan, Edith Riggs, Evelyn Caldwell; and her daughter, Donna Bork. Dorothy retired in 1986 from Southwest Washington Medical Center where she worked as a Medical Registrar. 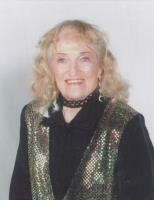 She was an active member of Sweet Adelines, Va Va Voom and the Marshallaires. She was an avid Jazz fan and loved to play her Jazz records at home. She will be most remembered for her enthusiasm for life and fierce devotion to her family. The family would like to thank the staff at Pleasant Valley Senior Care for giving Dorothy the best care possible. Dorothy will be buried at Park Hill Cemetery next to her daughter Donna Rivoli-Bork. As Dorothy wished, no services will be held but she can be memorialized at her gravesite. Please sign Dorothy's Guest Book at www.columbian.com/obits.